This is the perfect opportunity for young professionals to live in Montreals hottest neighborhood at a great rate. We are steps away from the heart of city and provide direct access to an underground shopping center with grocery, pharmacy, liquor store and so much more! With an abundance of parks, European style bakeries, cafés and incredible restaurants and nightlife all within walking distance, it won't take you long to see why LaCité is the perfect place to live, work and play. LaCités Residents enjoy preferred pricing as well as direct access to Club LaCité. The facility hosts a fully equipped gym which includes strength and cardio equipment, a tennis court and an outdoor heated pool open year round. In addition, the building is attached to an underground shopping center, Les Galeries du Parc, where you will findgrocery stores, a pharmacy, a liquor store, apost office, restaurants, a cinema and many additional retail stores. 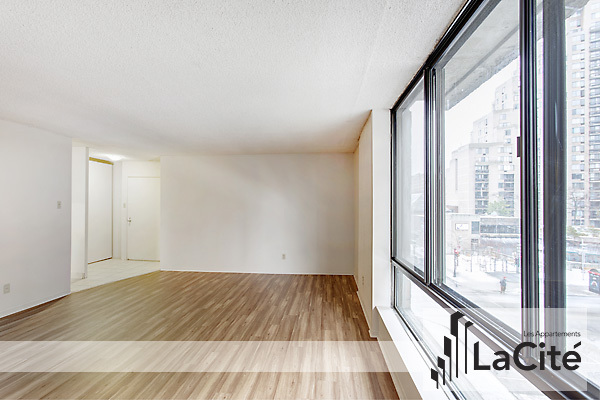 We encourage you to contact one of our professional rental consultants today at 1 (514) 845-4173 for more details and to book your tour. We can also offer skype or FaceTime tours! Visit us athttp://www.oxfordresidential.ca/en-ca/our-apartments/lacite for more informationi!